You know the drill, and newscasters remind you every year – when you turn the clocks ahead for Daylight Saving Time, change the batteries in your smoke detector. If you’re like me, though, you probably wait for that annoying chirping sound indicating a low battery before you break out the chair or step ladder and do the job. Fortunately, frequent battery changes in smoke detectors may become a thing of the past. 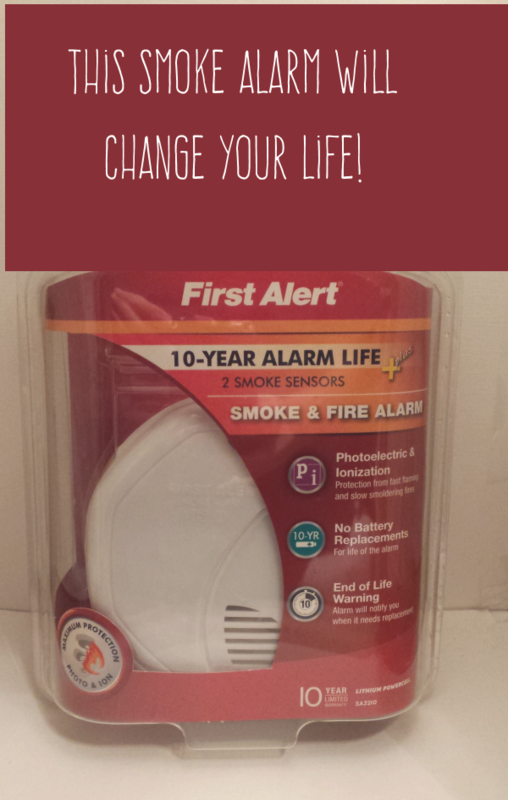 First Alert now offers the SA3210 smoke alarm with its sealed, long-life battery intended to last the entire 10-year service life of the unit. Instead of a low-battery noise every year or so, the SA3210 alarm will emit a signal after 10 years in action. The First Alert SA3210 also offers dual sensors, with both Photoelectric Sensing Technology and Ionization Sensing Technology. This means it’ll detect both smoldering, smoky fires such as when a cigarette ignites furniture and fast flaming fires like when paper burns or kitchen grease goes up in flames. 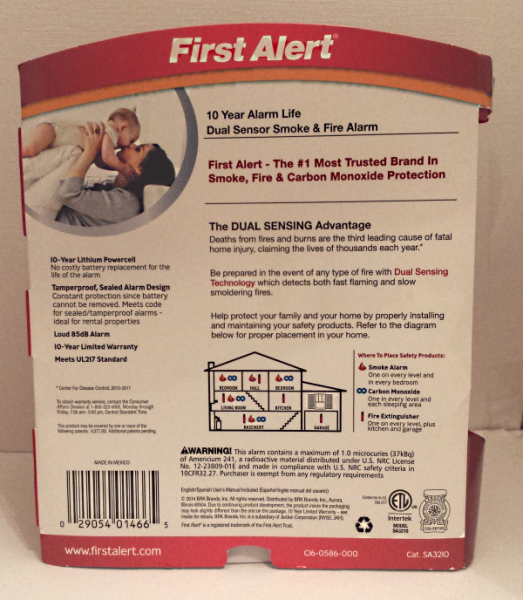 Fire protection experts recommend dual-sensor alarms for the best detection of all types of fires. Even if you have several smoke alarms in your house, you might not have adequate protection if they only detect smoke and not flames. This can take away precious minutes in notifying the family that they need to escape a burning house. What’s more, the alarms in your house may have too much age on them to completely protect your family. Alarms need to be swapped out roughly every 10 years. This includes hard-wired alarms, too. If your house is more than 10 years old and you’ve never replaced the smoke alarms, you may want to consider adding this to your to-do list. At around $60, the First Alert SA3210 costs more than typical smoke alarms, but you’ll probably come out even or ahead in the long run without those yearly battery changes. It comes with a 10-year limited warranty as well. The SA3210 looks like any other smoke alarm and installs similarly to its counterparts, too, with its included mounting hardware. 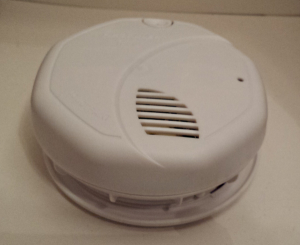 Its single button both silences alarms and allows for testing the device. Several states and cities have already begun requiring 10-year smoke alarm batteries for certain residential buildings. California, Georgia, Oregon, Maryland, Louisiana and Florida mandate them, and the New York legislature passed a law that’s currently awaiting its governor’s signature. Cities that require 10-year smoke alarm batteries include New York City, Milwaukee, Indianapolis, Philadelphia, Phoenix and Louisville. 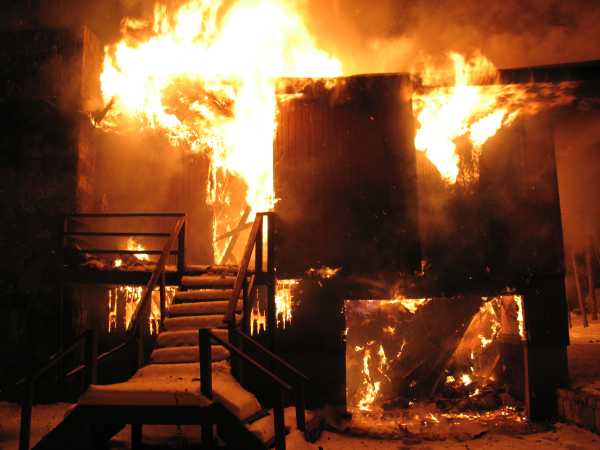 According to the U.S. Fire Administration (USFA), around 3000 people die in fires every year, with 17,500 injuries and more than $11 billion in property damages. The Consumer Product Safety Commission says that smoke alarms should be installed on every level of the home, outside sleeping areas and inside bedrooms. One smoke detector in the house or even one on each floor isn’t enough. 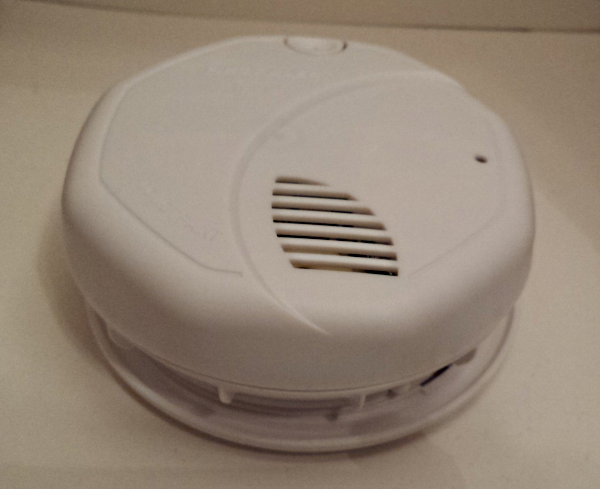 As with other smoke alarms, you should test the First Alert SA3210 once a month, per NFPA recommendations. I received a sample product for use in this honest evaluation.